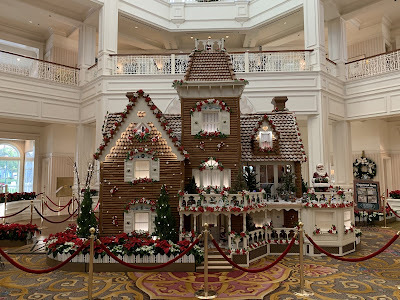 It is now Christmas season at Walt Disney World, so that means amazing and unique decorations. One of the best holiday displays can be found in the form of the gingerbread house at The Grand Floridian Resort. It is the 20th anniversary of this annual favorite, and this one appears to be the largest one ever created.